California's homeless population grew to 134,278 in 2017, an increase of 16 percent from 2015. Los Angeles Mayor Eric Garcetti and mayors from a dozen other major cities met with Gov. Gavin Newsom and legislative leaders in Sacramento Wednesday to call for more state resources in the 2019 budget for homelessness programs. According to Garcetti's office, the mayors highlighted the success of the Homeless Emergency Aid Program, which allocated $500 million in 2018 for homelessness programs. "Last year, California's mayors fought hard for hundreds of millions of state dollars to confront the humanitarian crisis on our streets -- and in Los Angeles, we have already committed that money to badly needed bridge housing and other emergency initiatives," Garcetti said. "But this is just the beginning. Cities need Sacramento to keep following Governor Newsom's example, and stepping up with the resources we need to end homelessness across California. We'll keep pushing toward that goal, with a spirit of partnership that's as strong as it's ever been." California's homeless population grew to 134,278 in 2017, an increase of 16 percent from 2015. 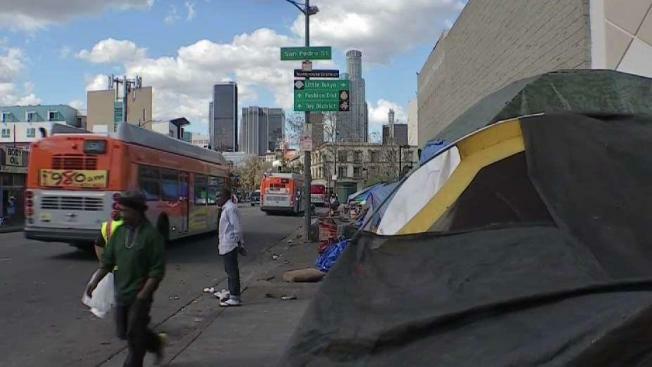 Garcetti's office noted that half of the country's homeless population is in California, and nearly half of California's homeless are in the state's 13 largest cities.